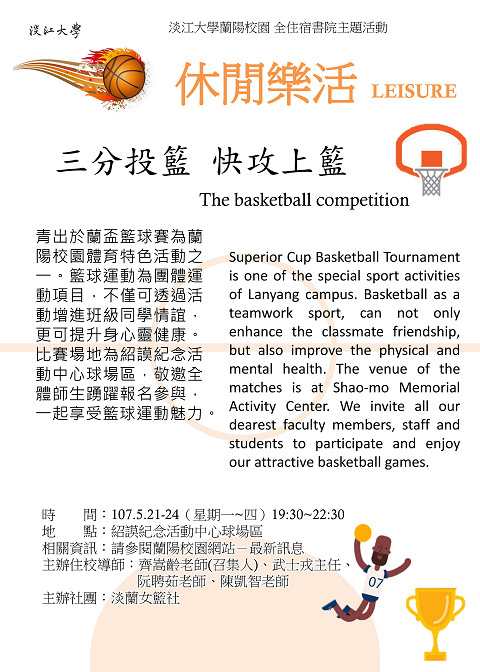 Superior Cup Basketball Tournament is one of the special sport activities of Lanyang campus. Basketball as a teamwork sport, can not only enhance the classmate friendship, but also improve the physical and mental health. The venue of the matches is at Shao-mo Memorial Activity Center. We invite all our dearest faculty members, staff and students to participate and enjoy our attractive basketball games.